Come join the PINK DISCO on Saturday 13th October to support the fight against breast cancer. Breast cancer is the most common cancer affecting women in Hong Kong, a Bollywood dance workshop has been organized to raise awareness, funds, and contribute what we can towards the cure of this disease. Early detection saves lives, so let’s dance against breast cancer, together! 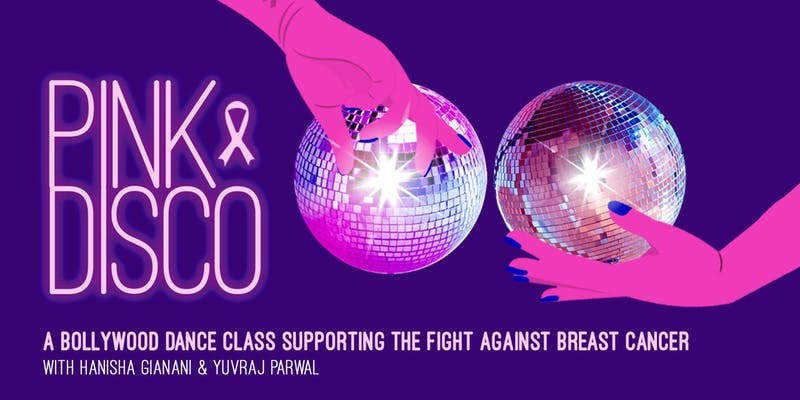 The dance class will be led by Hanisha Gianani and Yuvraj Parwal, and 100% of ticket proceeds will be donated to the Hong Kong Breast Cancer Foundation. Yuvraj is a Bollywood dancer and choreographer who has worked and performed alongside several professional artists. In 2017, he won the Hong Kong spotlight edition of Jhalak Dikhlaa Jaa. October is globally known as ‘Breast Cancer Awareness Month’, or the PINK month. It’s a worldwide annual campaign to highlight the importance of breast health awareness, education and research against breast cancer. Although breast cancer is the second most commonly diagnosed cancer among women, 86% of breast cancer cases are curable if detected early enough. * Lifetime breast cancer risk for females is 1 in every 16. In 2015, 55% of women diagnosed with breast cancer were ages 40-59. The older the age, the greater the risk. About Hong Kong Breast Cancer Foundation: The Hong Kong Breast Cancer Foundation (HKBCF) was set up on 8 March 2005, as a non-profit charitable organisation dedicated to mitigating the threat of breast cancer to the local community through education, patient support and research & advocacy. The HKBCF is operated by Hong Kong Breast Cancer Foundation Limited. You into heels? How about Pink ones? How about running in Pink Heels? 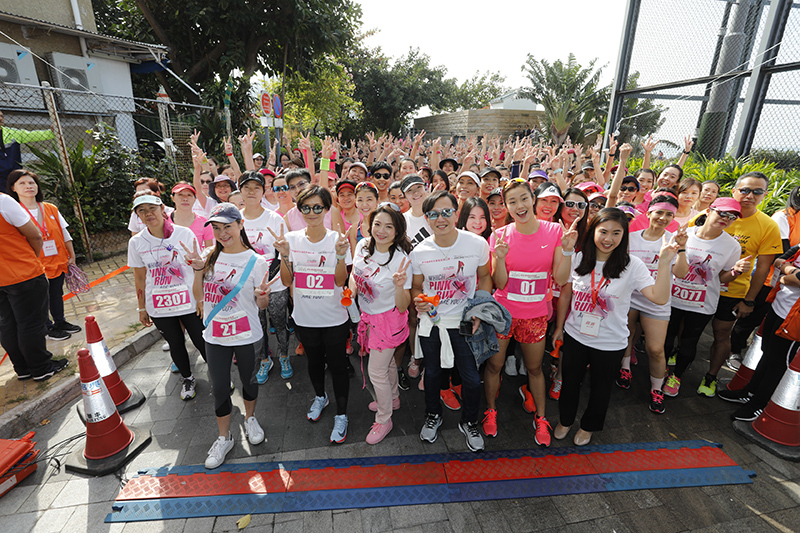 Race with Pink Heels is an annual charitable event organized by Hong Kong Hereditary Breast Cancer Family Registry. It aims to promote knowledge and risk awareness of hereditary breast, ovarian and prostate cancers caused by BRCA gene mutation, and also to raise fund for supporting the underserved high-risk families by undergoing BRCA testing and genetic counseling services in the community. Participants are required to wear a pair of heels, 2-inch or below, with pink ornaments. The race course is 100 meters long at Stanley Main Street. There are 3 Race categories: Individual Challenge, Quadrathlon Team Race and Fun Race. “The Champion Award” is awarded for each game. For raising public awareness of hereditary breast cancer, all participants are welcome to put on pink accessories as support to the event. “The Best Costume Award” & “Top Fundraiser Award” is available for contending. About the Organisers: Established in 2007, Hong Kong Hereditary Breast Cancer Family Registry is the only and first-ever charitable organization dedicated to help the high-risk families who have hereditary risk of breast, ovarian and prostate cancer due to BRCA gene mutations. They also aim to advance and standardize clinical care by formulating preventative measures through data collection, research, public education, counseling and supportive care services in reducing the incidence of hereditary cancers in Chinese population. The Registry now has the largest database and biobank of hereditary breast cancers specimens in Chinese which would facilitate better understanding research of the disease locally and worldwide. THE REGISTRY has raised funds for financing the underserved high-risk families in the community to undergo genetic testing and counseling and has benefited over 1,000 families up to now. If you love your heels and can’t live without them, here is a novel way to raise awareness of hereditary breast and ovarian cancer and to help raise HK$300,000 to benefit the underprivileged breast & ovarian cancer patients and their families. 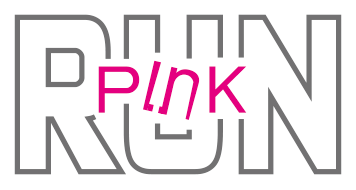 The annual Race with Pink Heels will be held on 18 November 2012. 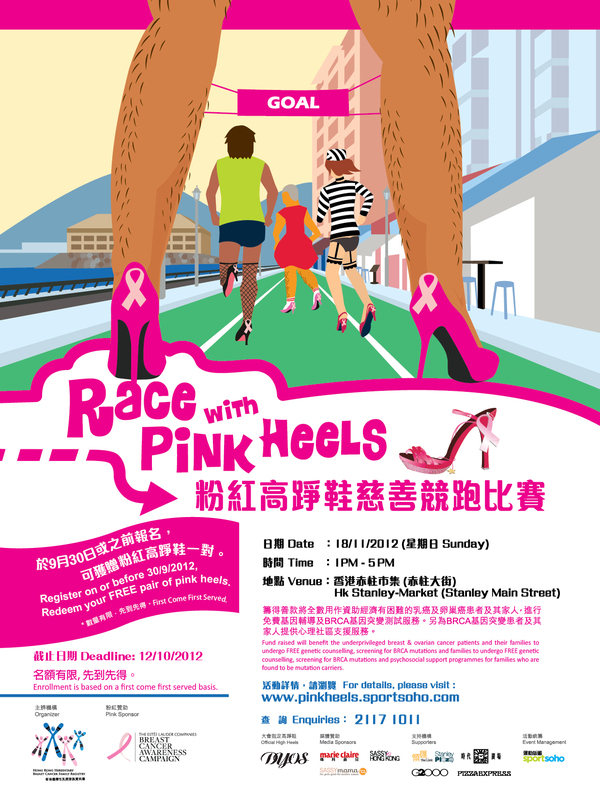 Organized by HK Hereditary Breast Cancer Family Registry (“THE REGISTRY”) and managed by Sportsoho, participants will wear a pair of 2 inches high heels and compete for championship at HK-Stanley Market Main Street. 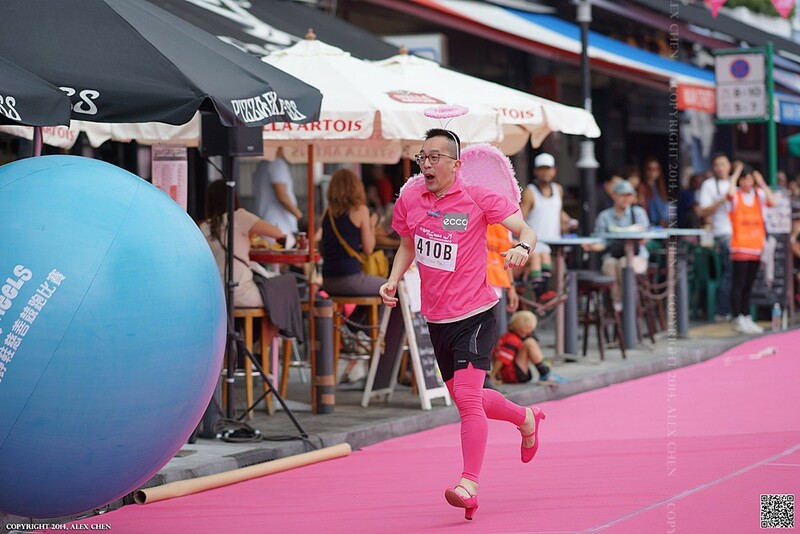 Depends on the selected categories, runners are encouraged to wear high heels decorated with pink accessories or simply go pink heels. Categories available include Corporate Team, Men’s and Women’s Pink Races, Wife Carrying and Dog & Buddy Race, so something for everyone. So come out be pink and have some fun! Details on their website. 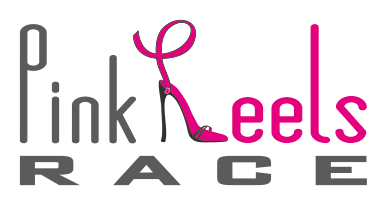 Participants who successfully registered for the Race on or before 20th September, 2012 can redeem a pair of 2-inches pink high heel shoes. First Come, First Served. About the Hong Kong Hereditary Breast Cancer Family Registry: Established in 2007, Hong Kong Hereditary Breast Cancer Family Registry (hereinafter called “The Registry“) is a non-government charity organization dedicated to support the high risk breast cancer programme (HRBCP) in providing free access of genetic screening and consultation for the underprivileged, high-risk breast cancer patients and their families. The aim of The Registry is to advance and standardize clinical care for the high risk breast cancer group, in particular of the younger pre-menopausal age group, by formulating preventative measures through data collection, research, public education, counseling and supportive care services in Hong Kong. According to the Susan G Koman for the Cure website, breast cancer is the most common cancer in women worldwide. Nearly 1.4 million new cases of breast cancer occurred among women worldwide in 2008 (most recent data available). Seven years ago the Hong Kong Breast Cancer Foundation launched the Pink Walk Against Breast Cancer. With two walk options a 1-1.5 hour 3.5km walk around the Peak suitable for all the family and a longer 2-2.5 hour 7km walk along part of the popular Hong Kong Trail with scenic views of Central, Sheung Wan and Pokfulam for the more energetic, different categories from individual to small team and different awards to challenge including the Best Dressed Pink Award, there is something for everyone. Funds raised will support their work in breast health education, patient support services, local breast cancer research and advocacy. Whether you are doing it on your own or as a group, join now, get out into the fresh air, get some exercise and have some fun for a good cause. To enroll and for further details, please visit the Pink Walk Against Breast Cancer website.